T-Mobile has sold many different Samsung accessories in the past, including the Gear S3 and Gear VR, and now another Gear device has hit T-Mo’s shelves. The Samsung Gear 360 (2017) is now available from T-Mobile. Pricing is set at $0 down and $9.59 per month for 24 months, or $229.99 total. Also of note is that Samsung is running a promotion that’ll get you a hefty discount on the new Gear 360. If you buy a Galaxy S8 or Galaxy S8+ between May 25th and June 19th, you can buy the Samsung Gear 360 (2017) for $49. The new Gear 360 lets you capture 360-degree photos and videos. It also includes support for 15-megapixel images, up to 4K video capture, and the ability to live stream video at 2K resolution to Facebook, YouTube, and Samsung VR. The device includes a microSD slot for saving your images and video. 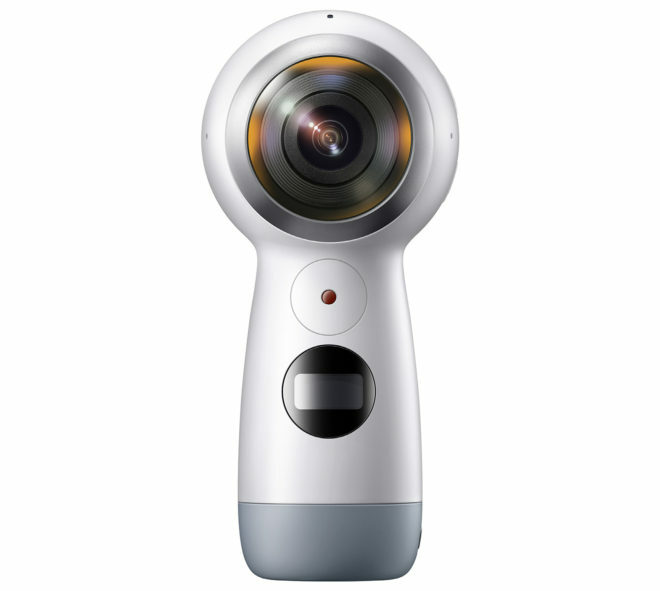 Samsung’s Gear 360 (2017) is compatible with the Galaxy S8 and S8+, Galaxy S7 and S7 edge, Galaxy S7 active, Galaxy Note 5, Galaxy S6, Galaxy S6 edge, and Galaxy S6 edge+ as well as the iPhone 7 and iPhone 7 Plus, iPhone 6s and iPhone 6s Plus, and iPhone SE. It supports Windows and Mac computers, too. Any real sample photo of this in 360? I have a Theta S and I like the form factor. This design is better than last year golf ball design which is not good. I saw the sample. It is alright. In par with the Theta S now. Last year model is not good. The VZW is better as its same price + get a $50 VISA gc. a big bear? hey glad you didnt turn into bear food. its that 360 thats replaceable or your life thats not replaceable.